Were You or A Family Member Seriously Injured By A Law Enforcement Officer? Bad cops can no longer hide behind a badge. Our team of trained police misconduct attorneys has helped hundreds of families maximize compensation in cases of excessive force, assault, and murder by a law enforcement officer. 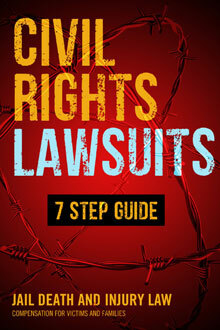 Our lawyers are longtime civil rights advocates. They have secured multi-million dollar settlements and verdicts for police misconduct victims and their families. They know the system inside out; some of them have even reached the high positions in law enforcement in their before entering private law practice to represent victims. They pride themselves not only in their impressive success rate, but also in their solid network of connections for deep investigations and their numerous contributions to police reform. Our police misconduct attorneys have a track record of successful lawsuits and lucrative settlements in New York, Illinois, California, Washington State, Michigan, Florida, Texas, Connecticut, and beyond. Our team of investigators has the expertise and connections to bring the truth to light in the most complex cases of wrongful death during arrest, death in custody, prison neglect, and police brutality. What is Police Misconduct and What Are Your Rights? Even if your loved one is in jail, even if you have broken the law, you have rights. Cops too often abuse their authority or make inexcusable mistakes. Law enforcement officers must be held accountable as much as the next guy. You should not tolerate police misconduct in any form. The United States Code states that it is unlawful for law enforcement officers to deprive any person of their Constitutional rights. The most common claims in police misconduct cases involve false arrest, malicious prosecution, and excessive force. When cases of police brutality are presented in front of jury, jurors are often appalled, and this can lead to appropriately large compensation amounts. Michael D. LaPorta, a Chicago resident, recently received $44.7 million in a verdict after a bullet from a cop's gun left him disabled. Bad cops are not luckier when it comes to reaching settlements. Alton Logan, another Chicago man, received $10.2 million after being wrongly imprisoned, thanks to the workings of a dishonest Police Commander for 26 years! Philando Castile, a Minnesota resident, received $3 million after settling an officer misconduct case with the city of St. Anthony Village. Excessive force is one of the most frequently settled claims. The family of Eric Garner, who died during arrest after NYPD used a chokehold on him, received $5.9 million; he had been seized for selling untaxed cigarettes and was unarmed at the time. Death in custody claims can also lead to 7-figure settlements. The family of Eric Loberg, a mentally ill Los Angeles man who committed suicide in jail, received a $1.7 million settlement. The mother of Ron Singleton, a New York man who was forcefully arrested and died in custody, while high on illegal substances, received a $1.25 million settlement. Police misconduct claims must be made within legal time limits (statute of limitations). This is usually a very short period of time, between one and two years in most cases. But there are more important time limits: as time passes, evidence can be tampered with or disappear, witnesses can forget the details of what they saw, officers have more time to cover their tracks. Your attorney's investigators need to act fast if you want to see any results at all. Filing a police misconduct claim is a race against the clock. You must act now – to make your best case. Bad cops, police departments, and any institution that allows them to break the law must pay their debt to society. Jail Death and Injury Law has the national structure and deep resources to get to the bottom of any police misconduct investigation. We have developed a unique process for maximizing claims and finding the culprits. We look forward to using our proven strategy to find out exactly what happened to your loved ones and to get them the justice they deserve. Call US 866.836.4684 or Connect Online.